Just a very quickie today to say thank you so much for the fabulous response to my Eclectic Grannie Bag. You were all so lovely about it, you darling people!! I've been so happy today too, so I also want to quickly share some things that have made me feel so bright, cheery and full of Oooo's. 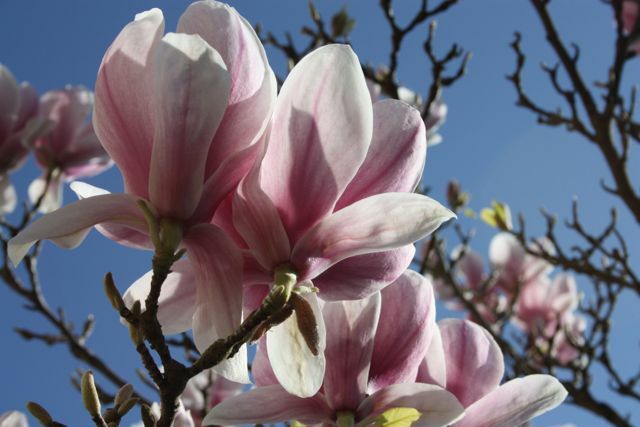 Happily my magnolia does not have frost damage for once and Oooo, it looks glorious against the very glorious blue sky! 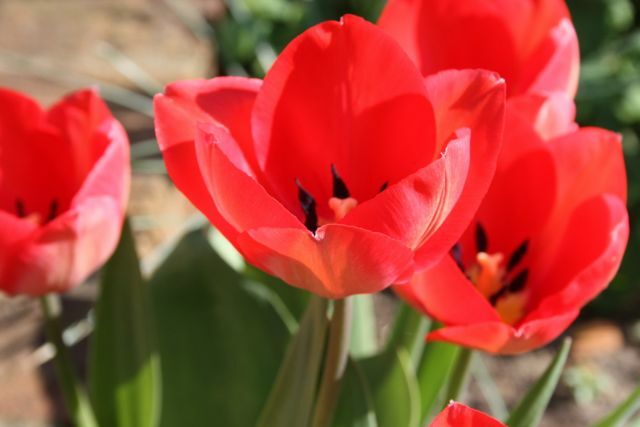 Oooo look, this little cluster of tulips are burning bright in the spring sunshine. Ooooh! 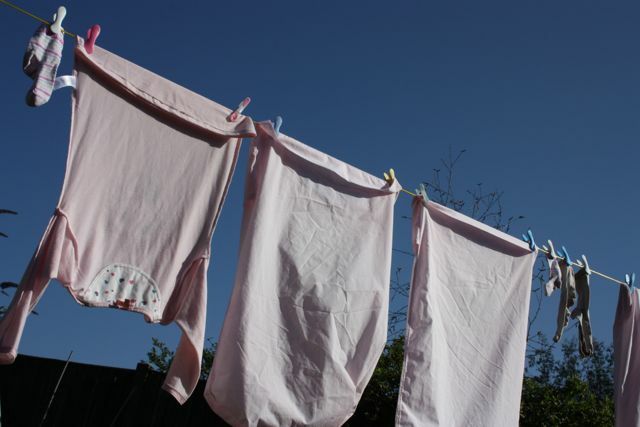 I've just realised it's fabulously sunny and warm and I can put my washing out again. Hooray for line dried washing. Hoo, hoo! I can't help but do a little hop skip and a jump today with such sights around me. I'm just going to give you a closer look at those cutie little animal faces. What on earth shall I make with them all I wonder? The ideas are brewing, but I don't know myself yet. Still, it'll be fun finding out. I've also got some Ta-dahs to show you, and maybe another little something for Easter. If I can get it done in time... fingers crossed! Your flower pics are so beautiful! Our magnolia is doing great too. We've had such a hot spring, then cold. I also like your fabric choices. I told myself I wasn't going to buy anything else for awhile and then I see this! 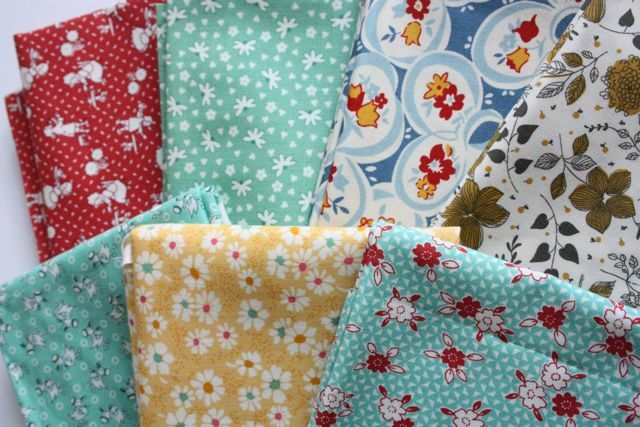 The fabrics you have are always so special and beautiful! They don't sell many nice fabrics around here, I guess most great stuff is available online! Great choices, very curious what you're going to make!!! I am so very happy that I discovered your blog, sandra! Your posts, every one that I've read, make me smile. The new fabrics are awesome! And I am a tad envious of your gorgeous Magnolia tree. 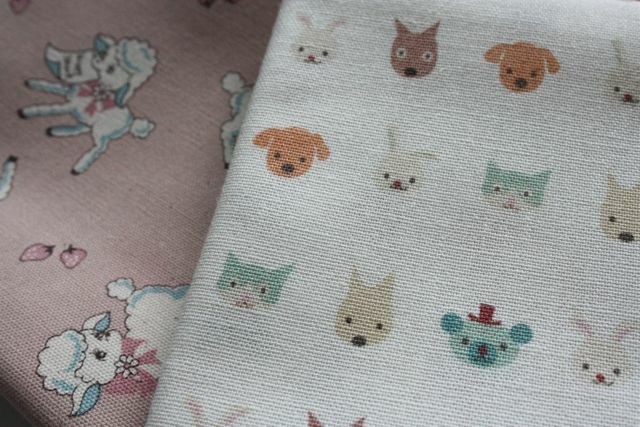 Everything is so pretty, I lurve the little socks fabric! 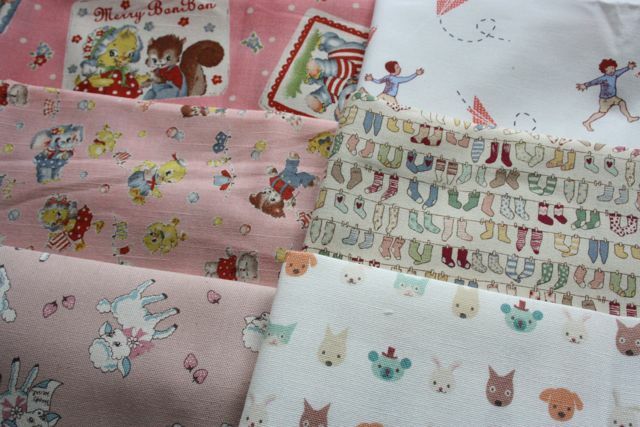 What lovely fabrics, I especially love the one with the little animal faces ...so cute. Gorgeous magnolia Sandra, wish I could have one but my garden is just too small. 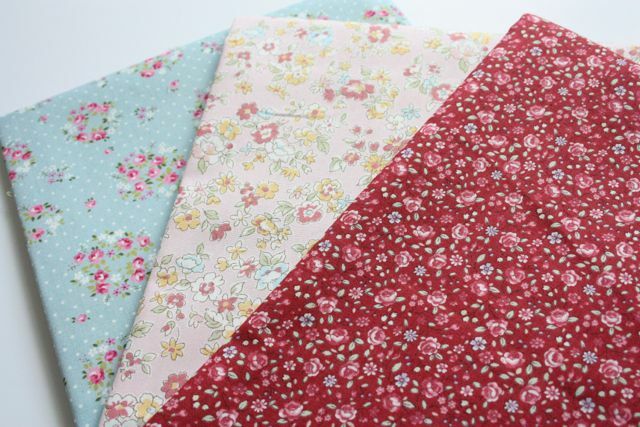 Those fabrics are pretty fab too can't wait to see what you do with them!